This very simple grave marker belongs to Mr. Bernhardt Pinke, a carpenter who emigrated from Germany and in 1910 was making his living as an employee of a hotel located at what was 417 Main Street in Frankfort (and also served as his residence). 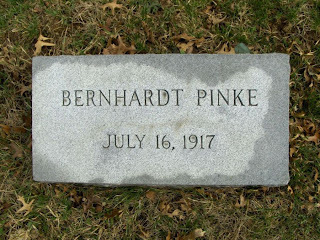 On July 14th, 1917, Mr. Pinke had the misfortune of being run over by an automobile in downtown Frankfort, resulting in his death. 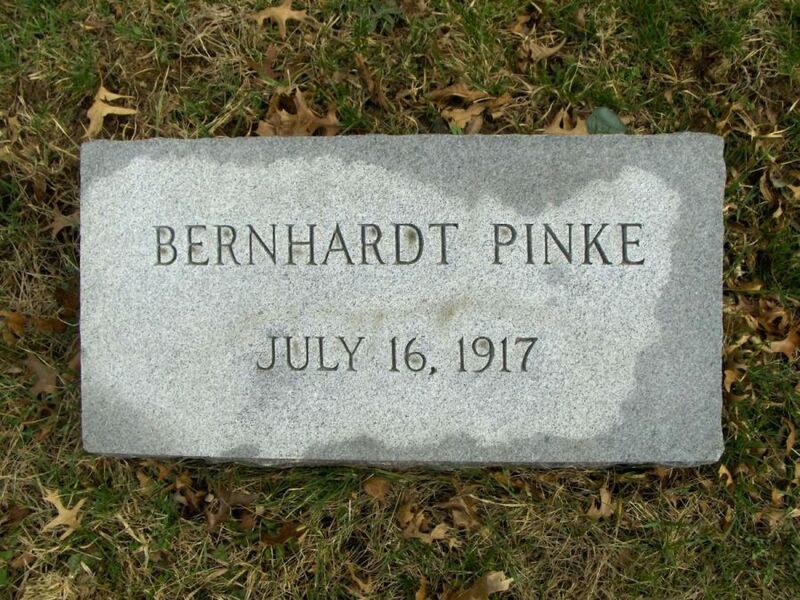 His grave marker lists the 16th of July as the date Mr. Pinke died, but according to his death certificate he passed on the 14th and was buried on the 16th. It seems he had no family nearby, and little about his history is recorded on his death certificate other than he was about 68 years old at the time of his death and that he was originally from Munster, Germany. What was known for sure, however, was the date that he died and you'd think that those in charge of providing this marker would have at least got that right.